After I joined HP two and a half years ago I started to hear tales of a magical event. Tech Con, a technical conference for the top technologists in the company, showing off the best and brightest innovations of the year. Moonshot servers, 3D displays, that kind of thing. One guy on our team had gotten in on an honorable mention a few years before. Nobody ever went to present. Not from our small corner of HP, anyway. But we could always dream. To get in to Tech Con you have to write up an innovation you created, and then compete against nearly two thousand other proposals for one of less than 150 poster slots. Out of those poster slots, fewer than 50 get speaking slots. To put this in perspective, HP has 320,000 employees, more than 70,000 technologists, less than 1,000 get to go to the conference and fewer than 50 get to stand up on stage and talk. 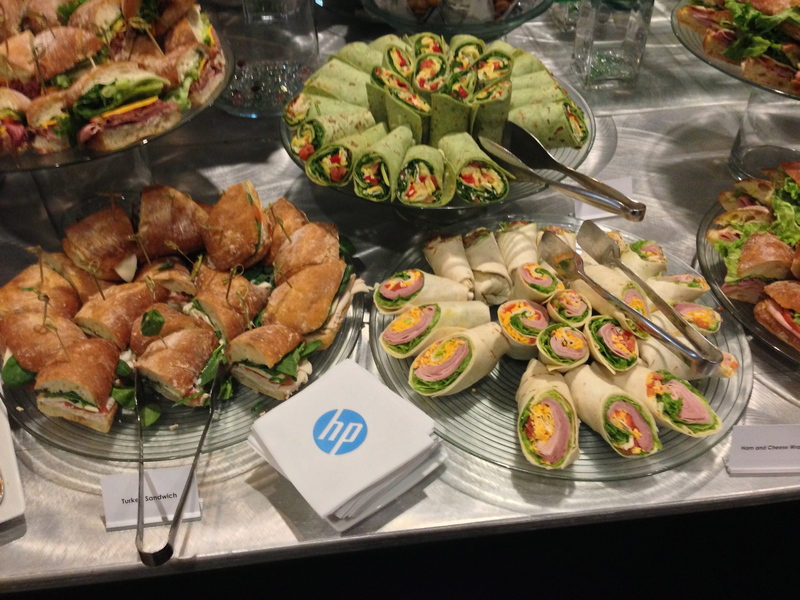 HP Labs is always well represented, innovation is their lifeblood. HP Cloud… had never sent anyone. Last year I started working on something pretty cool, so a logical step while applying for a patent was to submit the innovation to the conference. Fast forward a few months to late February. While sitting on the couch at the end of a long day, I was checking my email on my phone and a message popped up. It was an invitation to Tech Con. Even more mind boggling, after I re-read the email for the third time, I realized I’d been invited to speak. Queue the montage of presentation creation, practice, tweaking, throwing the entire presentation away, starting from scratch, practicing, tweaking, etc. You can read about what other HP People higher in the company than me have to say about Tech Con: HP’s CTO Martin Fink highlighted it on the HP Next blog, and HP Fellow Charlie Bess has posted about it. For those who haven’t had a chance to go to an event like Tech Con, a big, technical company event, I’d like to give a brief rundown of what it’s like, since it can be a once in a career experience. Tech Con this year was in Anaheim. The location is a closely guarded secret before the conference, because it’s chock-full of company trade secrets and unreleased products. 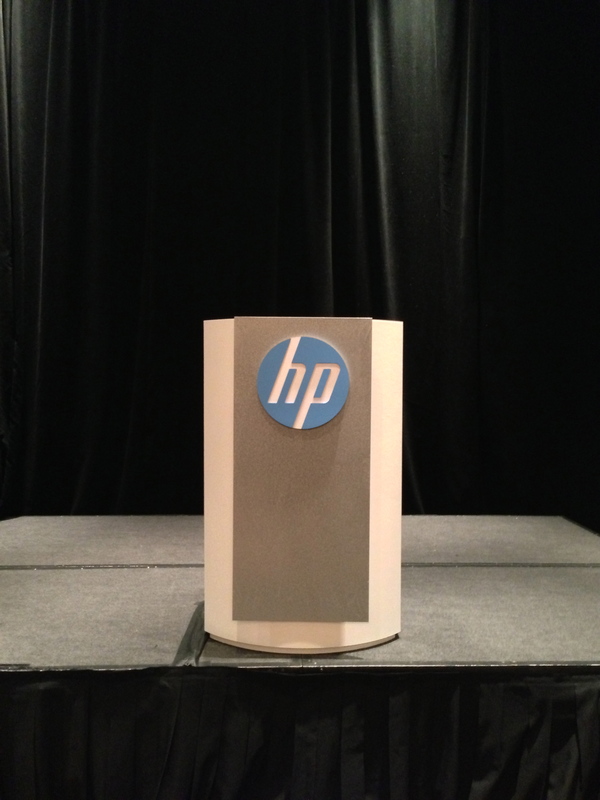 We were at a hotel a few minutes from Disneyland, and HP had booked nearly the entire thing for the conference. 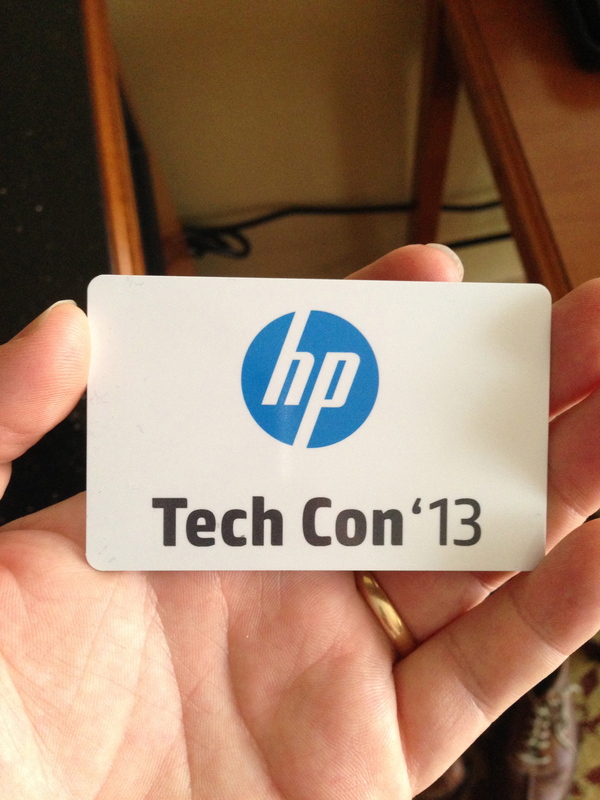 There were a few vacationers, but pretty much everyone you saw was wearing the HP Tech Con lanyard. Even our room keys had the conference logo on them. The conference is a mix of formal presentations and academic style poster sessions. During the poster sessions my co-authors from HP Cloud and I got to stand in front of our poster and talk to technologists and executives from all over HP, discussing how we could work together, explaining our product and getting some really great feedback. HP’s COO (and our boss’s boss’s boss’s boss) even dropped by our poster and talked with us for about 20 minutes. It was amazing to get that level of recognition, and I think I managed to not completely embarrass myself. Meg Whitman was on the poster hall floor, but unfortunately didn’t get to where we were. She did talk to all of us, though, which was great for those of us who aren’t from the bay area and don’t see her regularly. There were two blocks of scheduled activities, the first an outing to the Queen Mary that I missed to spend more time with some fellow HP Cloud folks (though everyone I talked to said it was really fun), and second an activities slot with things like whale watching, art walks, and the Warner Brothers studio tour, which I went on. The highlight of that tour might have been seeing a real Nerd Herder from the TV show Chuck, but we also got to see the main set for The Mentalist, which was really cool. I gave my talk Wednesday morning to a nice, big crowd, had some great QA, and then talked to a bunch more people at our final poster session. It was great to hear from people who’d had 30 year careers at HP working on amazing products that they totally got our thing and thought we were on the right track. That’s the kind of affirmation that can only come from a smart, diverse group of people like those at Tech Con. Tech Con is a highly confidential conference, and they take IP violations really seriously. I wanted to bring my poster home, since it was really pretty, and would go really well with my Whole Foods Market Milk poster. I had some people ask about the possibility on my behalf, but apparently after the last session they were going to lock the door, ship them all back to Palo Alto, show them for a few days, then cut them up, boil them in acid, burn them, and bury them in the desert. Oh well. The conference wound down Wednesday afternoon, but I managed to walk over to Disneyland with one of my coworkers from HP Cloud to get souvenirs for the family, having a nice chat on the way. The highlight of the conference is really those times, getting to talk to people you work with, or people from other parts of HP that you never have contact with. I had conversations with people from Australia, the UK, Germany, India, China, Italy, Israel and Brazil. It was really, really cool. 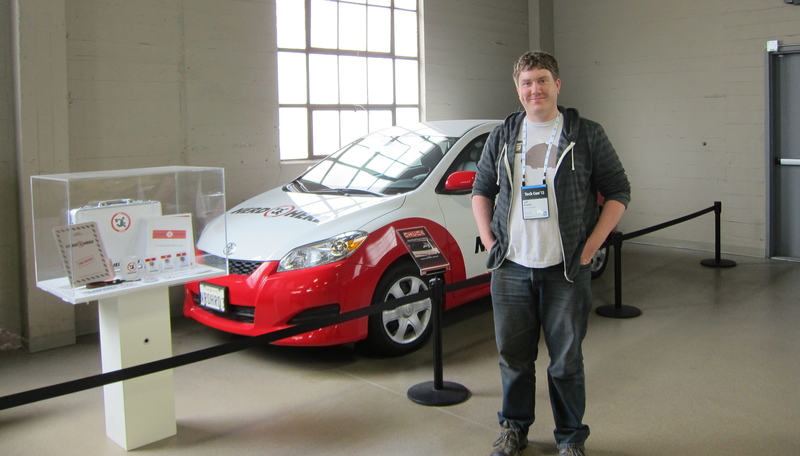 This entry was posted in Trip Reports and tagged conference, HP on May 9, 2013 by Jeff Kramer.